We just have this morning to explore Oslo since we need to be at the ferry by 13.00. So, since we are short on time, we decided to check out the Viking Ship Museum and the Kon-Tiki Museum. First up is the Vikingskiphuset or Viking Ship Museum. 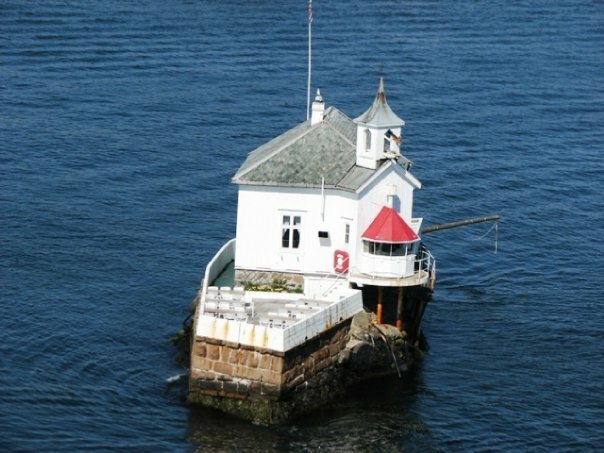 It was built in 1936 for three incredibly well-preserved 9th century Viking burial ships that were discovered at the turn of the century in the nearby Oslo Fjord. 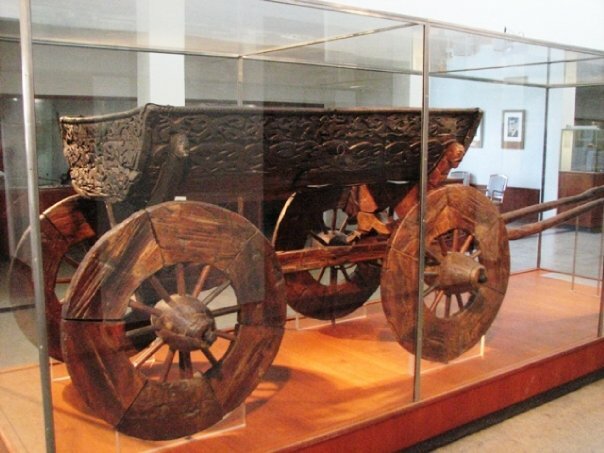 They are considered Norway's most important archaeological find. 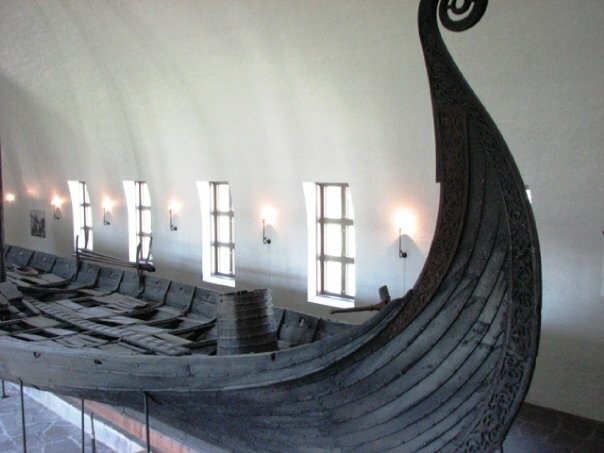 The three ships are believed to contained the royal bodies of Viking chieftains and one queen (believed to be the grandmother of Harald Fairhair) all entombed with their servants, pets and countless artifacts meant to serve them in the afterlife in the royal manner to which they were accustomed. To get here we took the Bygdøy ferry No 91 from Pier 3 at the rear of the Rådhuset (town hall) and got off at Dronningen, the boat’s first stop at Bygdøy. By bus, take the No 30B, marked Bygdøy, from the National Theatre and ask for the Folk Museum. The ferry leaves from Båtservice Sightseeing's pier - City Hall pier nr. 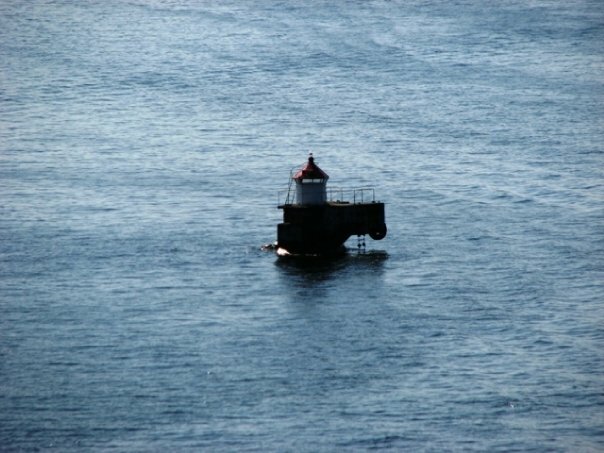 3, with two stops on Bygdøy. The first stop from City Hall takes you to the vinking Ships Museum and The Norwegian Folk Museum. 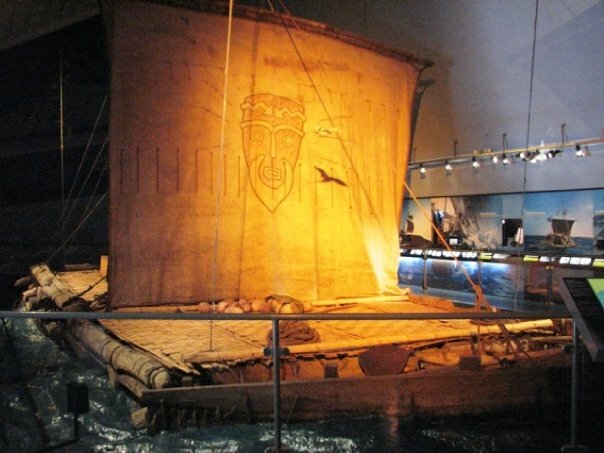 The second stop takes you to the Kon-Tiki and Ra museum, the Norwegian Maritime Museum and the Polar Ship Fram. Here are our pictures along with information that we received from the Museum itself. 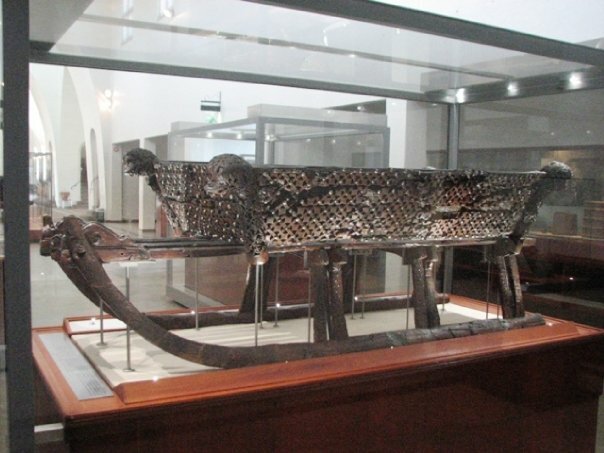 "The Oseberg ship is a well-preserved Viking ship discovered in a large burial mound at the Oseberg farm near Tønsberg in Vestfold county, Norway.The burial mound contained numerous grave goods and two female human skeletons. The ships internment into its burial mound dates from 834, but parts of the ship date from around 800, and the ship itself is thought to be older. It was excavated by Norwegian archaeologist Haakon Shetelig and Swedish archaeologist Gabriel Gustafson in 1904-1905. 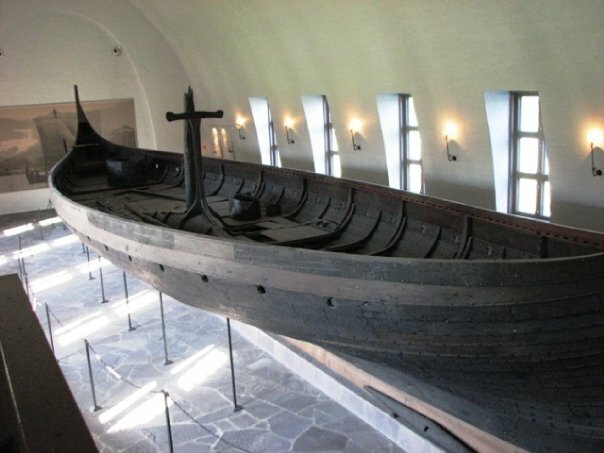 This ship is widely celebrated and has been called one of the finest finds to have survived the Viking Age." "The skeletons of two women were found in this ship. One, aged 60-70, suffered badly from arthritis and other maladies; the second was aged 25-30. It is not clear which one was the more important in life or whether one was sacrificed to accompany the other in death. The opulence of the burial rite and the grave-goods suggests that this was a burial of very high status. One woman wore a very fine red wool dress with a lozenge twill pattern (a luxury commodity), and a fine white linen veil in a gauze weave, while the other wore plainer blue wool dress with a wool veil, showing some stratification in their social status. Neither woman wore anything entirely made of silk, although small silk strips were appliqued onto a tunic worn under the red dress. Dendrochronological analysis of timbers in the grave chamber dates the burial to the autumn of 834. Although the high-ranking woman's identity is unknown, it has been suggested that it is the burial of Queen Åsa of the Ynglinge clan, mother of Halfdan the Black and grandmother of Harald Fairhair. This theory has been challenged, and some think that she may have been a priestess. There were also the skeletal remains of 14 horses, an ox and three dogs found on the ship as well. Still, recent tests of the women suggest that they lived in Agder in Norway, just as Queen Åsa of the Ynglinge clan. According to Per Holck of Oslo University, the younger woman ancestors came to Norway from the Pontic littoral, probably Iran. Although this fact has not been proved, artifacts recently found have provided new insight into the discovery. The older woman appeared to have cancer, which was the likely cause of death. She also suffered from Morgagni's syndrome, a hormonal disorder that would have given her a masculine appearance, including a beard. Both women had a diet composed mainly of meat, another luxury when most Vikings ate fish. However, there was not enough DNA to tell if they were related, for instance a queen and her daughter." "The Gokstad ship is clinker-built, constructed largely of oak. The ship is 24 m long and 5 m wide. It is the largest in the Viking Ship Museum in Oslo. The ship was built to carry 32 oarsmen, and the oar holes could be hatched down when the ship was under sail. It utilized a square sail of c. 110 square meters, which, it is estimated, could propel the ship to over 12 knots. While the ship was traveling in shallow water, the rudder could be raised. 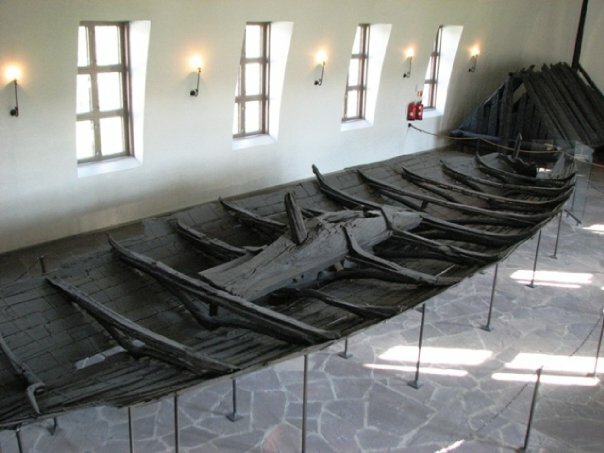 Dendrochronological dating suggests that the ship was built of timber that was felled around 890 AD. The ship's design has been demonstrated to be very seaworthy. The Viking, an exact replica of the Gokstad ship crossed the Atlantic Ocean from Bergen, Norway to be exhibited at the World's Columbian Exposition in Chicago during 1893. Other known replicas include the Gaia, which currently has Sandefjord as its home port, and the Munin, (a half scale replica) located in Vancouver, B.C. The grave was furnished with grave goods. Apart from the ship itself, they consisted of three small boats, a tent, a sledge and riding equipment. It is believed that the mound was plundered in ancient times. The excavation in 1880 showed that valuables of gold and silver had been removed. In the Viking period, weapons were considered an important part of a man's grave goods. In the case of the Gokstad ship, any such weapons were probably taken by grave robbers." Wagons found buried with the ships. Next up, we go to the Kon-Tiki Museum. Below are those pictures and information that we got from the Museum. "Thor Heyerdahl (1914-2002) is one of history’s most famous scientists, adventurers and champions of the environment. 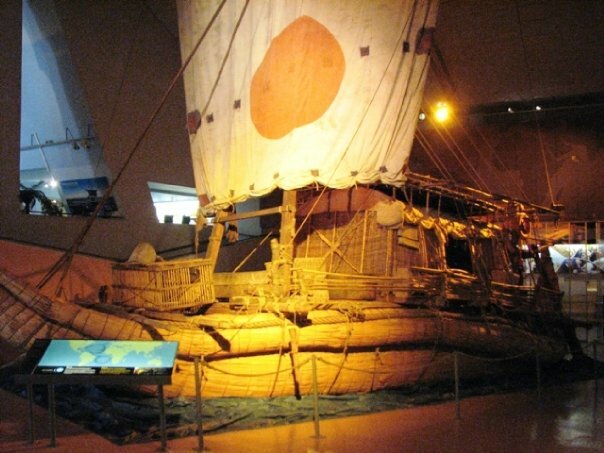 The Kon-Tiki Museum houses original boats and exhibits from Thor Heyerdahl’s world famous expeditions. The museum is home to permanent exhibitions about: Ra, Tigris, Fatu-Hiva, Kon-Tiki, and Easter Island." "In 1970 Ra II crossed the Atlantic Ocean with an International crew in this papyrus boat." 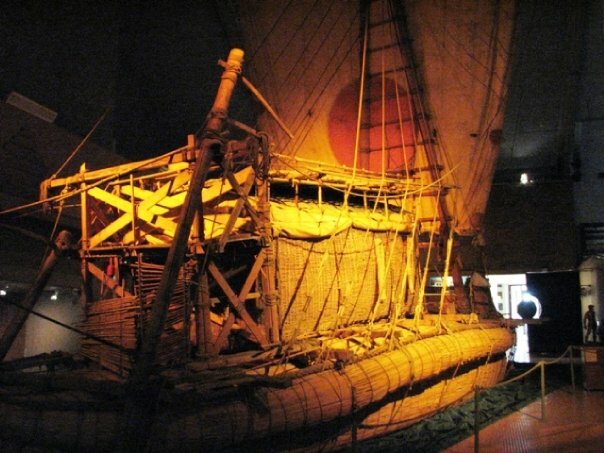 The original balsa raft Kon-Tiki crossed the Pacific in 1947. We traveled on the MS Color Magic on the Color Line. We booked an Ocean view cabin for 2 persons and 1 car. We had saved all of our receipts for our purchases in Norway and we had our tax refunded right on the boat. It was very easy. Here is some information about the ships (and pictures that we took) that you can get online from their links which are above. 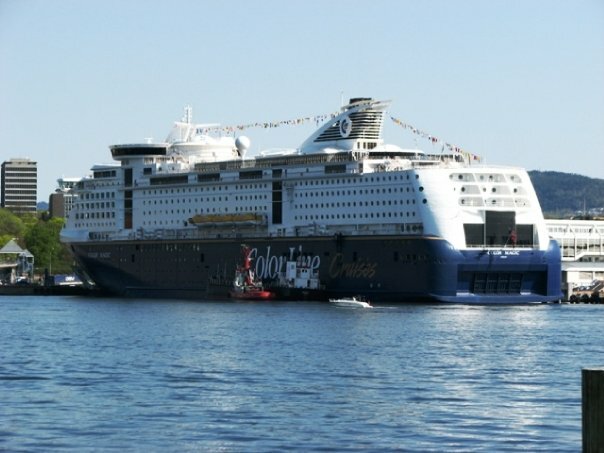 "We are proud to offer daily departures from Kiel and Oslo with a genuine cruise ship. Color Magic and Color Fantasy sail between Kiel and Oslo. 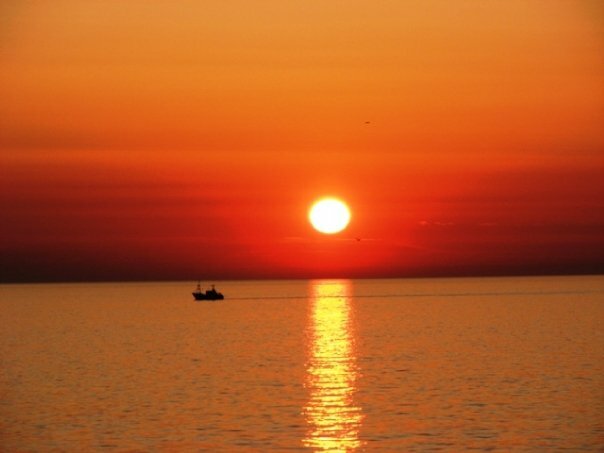 They both offer two days at sea, packed with experiences that will make you feel like you have been on a long holiday. 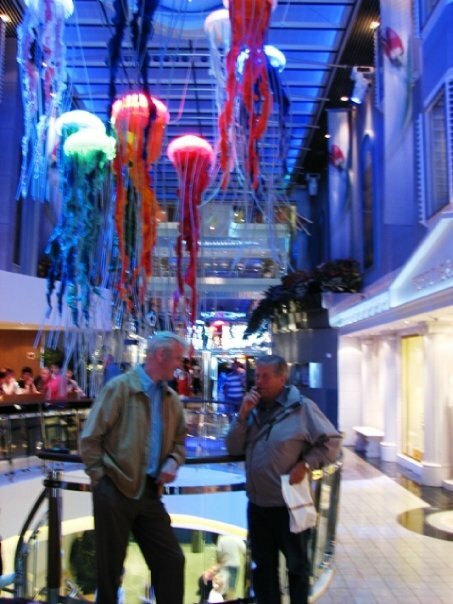 Both ships are like floating cities offering a wide range of shops, restaurant and entertainment. All of highest quality. At the heart of both our cruise ships lies a 160 meter long promenade. Each promenade is lined with shops offering everything from Italian designer clothes, jewelry and watches to wine and cosmetics. Enjoy a latté in the café or a refreshing drink in the pub. Sit back, relax and take in the sights and sounds of the promenade." "Food and drink - Each ship offers eight different dining experiences and seven bars, serving exquisite food and drink with something for every palate. If you value the culinary arts, you are sure to find what you are looking for on a Fantasy Cruise. Well-being - The Color Spa Center will pamper you with a comprehensive range of spa treatments, skincare and hairdressing. The centre also features a sauna, steam bath, massage chairs and a fully equipped exercise center." And a picture of our room. 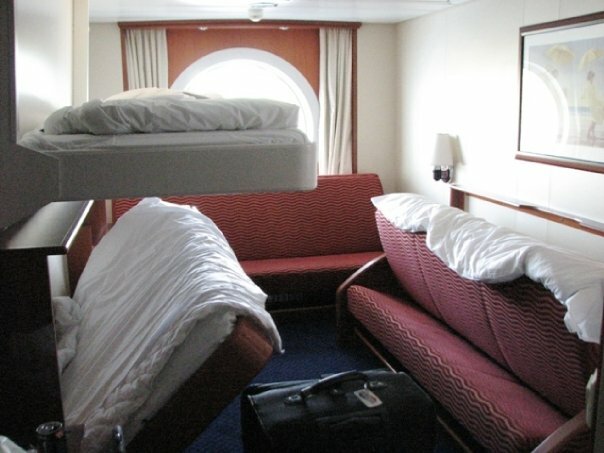 Our cabin had 2 beds that came out of the ceiling and 3 couches that folded out into beds. And finally, our last pictures as we pull out of Norway. This was my first time in Norway and I fell in love. If I had only known then, that we would be back the following year, to actually LIVE in Norway, I would not have been so sad. This is a beautiful country and I am very happy to have it as our temporary home. Thank you for your comments and the link! Thank you! I need to keep up on it more but it seems like we travel so much I never have time to! Thank you! And you met your wife here? That's a story I need to hear!